Last weekend, on HBO’s Last Week Tonight with John Oliver, a silly little comedy bit turned into something more. Oliver is one of my favorites. I find his show to be hilarious, but it can also be thought provoking. Many scoff at that last part, but I refer those laughers to his piece on Net Neutrality as an example. I didn’t agree with his view on that, but it was an insightful piece that led to public engagement. On his show this week, the feature segment was a skewering of Vice President Mike Pence. That is a hobby I occasionally share with Oliver. In this episode he made fun of a Pence family pet, the recently adopted rabbit, Marlon Bundo. Again, I was laughing in solid agreement with the British comedian’s bit. What brought this on? 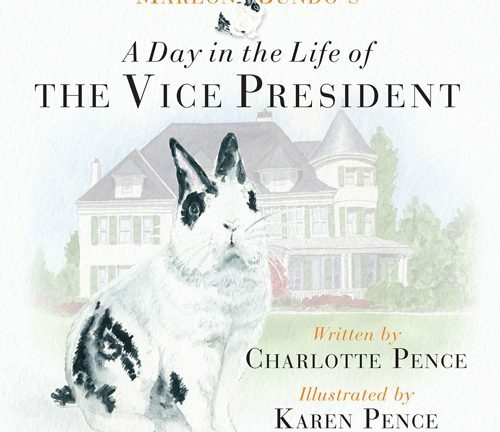 The VP’s daughter, Charlotte Pence was releasing her new children’s book this week: Marlon Bundo’s A Day in the Life of The Vice President. And when one is ridiculing a public official, this seems like an open invitation to pile on. Let’s get something straight. Rabbits are not meant to be pets. Rabbits are lagomorphs. * They are not trainable. They live in a cage. If they are allowed to run freely in the house, they love to chew up electric chords. Yes, I have experience with this. And let my experience help you avoid making the same mistake a friend of mine did years ago. Having a pet rabbit is a display of questionable judgement. I had made fun of the Pence’s pet rabbit a few times before Oliver did. Partly because I knew about rabbits, and partly because making fun of the VP is just something I do. But Marlon Bundo is different. In an appearance on The View this week, America got to learn a little about this. The young Pence adopted the rabbit as part of student film project in college. When she went to buy the bunny off of Craigslist, she asked how much it cost, and the owner said “make me an offer.” That famous line from The Godfather became the reason why he was eventually named after Marlon Brando. That gives Charlotte some serious “cool” cred. Then one of the hosts on the show asked if Marlon favored the left or the right politically and Charlotte said he kind of “hops down the middle of the aisle.” Again, I have to give the 24-year-old more points for that one. But the best was her response to the ridicule she and her family got from Oliver about the whole thing. Oliver is mocking the vice president’s long held stance on gay marriage, and his views on the LGBT community generally. But make no mistake, it’s an actual book available on iTunes and Amazon, and it’s actually well done. Proceeds from it go to the LGBT advocacy group, the Trevor Project, and health non-profit, AIDS United. Pence’s book is a rhyming slice of life of Marlon sharing a typical day in the life of the VP. It is the kind of book one would expect to read to a young child at bedtime, especially if that youngster needed help going to sleep. Is there anything more boring to a 4-year-old than a day in Mike Pence’s life? But it is a good children’s book. Proceeds from Pence’s book will go to A21, a non-profit dedicated to stopping human trafficking, as well as an art therapy program at Riley Hospital for Children. This young lady could have handled the over-the-top mockery that Oliver served up in so many ways. She responded by buying his book and accepting the mimicry as the highest form of flattery. Oh, and she embraced Oliver’s fundraisers too. She has been all class, all week. It turns out I really like Charlotte Pence. Which only leaves me to wonder if anyone has suggested she read her book to her dad’s boss. 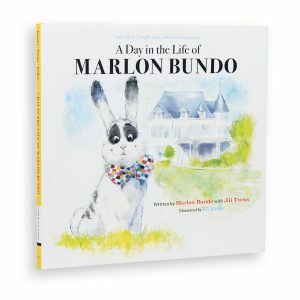 Maybe Marlon Bundo should spend a day or two with him. The originally published version referred to rabbits as “rodents,” a classification that changed to lagomorphs in 1912. Enjoyed reading this piece. I don’t align much with Pence policies and though I appreciate Oliver’s humor, I don’t align too often with his political thinking either. The moral of this story seems to be it’s possible to have class when engaging with opponents. Our political conversation could do with a bit more class, consideration, and a healthy sense of humor. And kudos to Ms. Charlotte in particular for courage and class.